SPEA - The Portuguese Society for the Study of Birds is a scientific non-profit association that promotes the study and conservation of birds in Portugal. SPEA's mission is to support research and conservation of birds and their habitats, promoting a development that ensures the viability of the natural heritage for the benefit of future generations. Due to its work SPEA is recognized since June 2012 as a public utility institution. SPEA has extensive experience in coordinating conservation projects. The Portuguese Institute for Nature Conservation and Forests (ICNF) mission is to propose, monitor and ensure the implementation of conservation policies of nature and forests, promoting the conservation, sustainable use, appreciation, enjoyment and public recognition of the natural heritage, promoting the sustainable development of forest spaces and associated resources. Natura 2000 is an ecological network for the European Union resulting from the application of Birds (79/409/EEC) and Habitats Directives (92/43/EEC) which aims to ensure the long-term conservation of species and most threatened habitats in Europe, helping to stop the loss of biodiversity. It is one of the main instruments for nature conservation in the EU, being the ICNF the responsible of its implementation in the country. 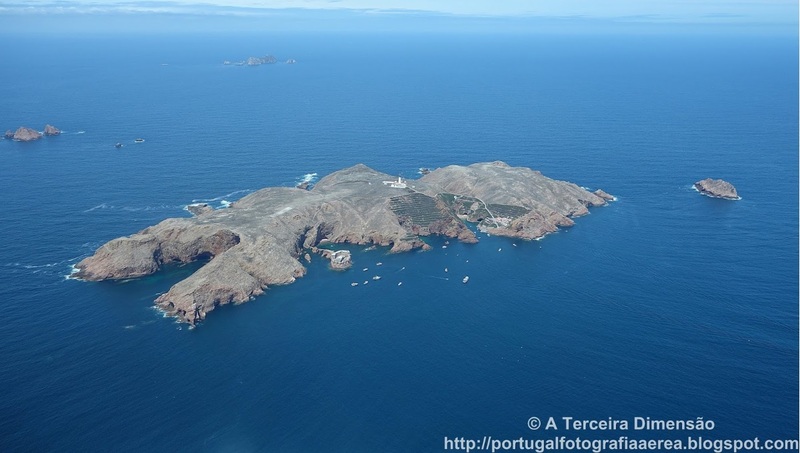 The Special Protection Area of Berlengas (PTZPE0009) and the Conservation Special Area (PTCON006) implement the Natura 2000 network in the area where this LIFE project is being developed. The Peniche Municipal Council represents the population and the territory, aimed at the defense and pursuit of the legitimate interests of Peniche council. The municipality has the relevant goal of approaching local government to citizens and satisfying its residents needs and requirements. Peniche Municipal Council as part of local government proceeds, in coordination with the relevant services and under Portuguese and European Law, to meet the purpose of public interest being its main objectives the social and economic development of the municipality improving living condition, work and leisure to its inhabitants while respecting the environment, human rights, historic heritage and individual freedom. The City Council is also responsible for setting local strategies, that in an integrated manner, will allow planning the territory, encompassing its different dimensions. As the Berlengas archipelago is an integral part of Peniche council, the council is strongly committed to promote sustainability and conservation of natural values, cultural and historical heritage. Moreover the council is also responsible for ensuring a set of public services on the island, namely cleaning and maintenance of public spaces, waste management, transport and water supply and management of the camping area. The Faculty of Social Sciences and Humanities is Portugal's largest institution of higher education in the Social and Human Sciences area, accounting for 14 degrees, 48 master's degrees, 25 doctoral degrees in disciplinary and interdisciplinary areas. It also includes 12 research units funded by the Portuguese Foundation for Science and Technology, rated as "Excellent" or "Very Good", with over 200 basic research and applied projects in progress. Its academic community has more than 1,200 national and international researchers and about 4,000 students. Located in Peniche, this school carries out activities in the fields of education, vocational training, research and service to the community, governed by quality standards that ensure adequate response to the needs of the region in which it operates and country. The school mission is to conduct initial training, continued and post-graduate, with high standards of quality in the areas of Tourism and Marine Sciences and Technologies; the development of research and service activities aimed at training professionals with high level of preparation in the scientific, technical and cultural aspects; conducting research and research activities; the organization and development of upgrading and retraining projects; scientific, technical and cultural exchanges with similar institutions or that have common objectives and the provision of services to the community in scientific and technological areas in which the school carries out its activity. Through its Research Group on Marine Resources, the school has developed several initiatives and projects in terms of monitoring and environmental awareness in the area of ​​the Biosphere Reserve of Berlengas.